An organic herbal extract is a safe, balanced diuretic high in potassium. It is a wonderful liver and kidney tonic, digestive aid, builds blood and helps with skin problems. We prepare our Dandelion Extract from the root of the Taraxacum officinale plants which are grow wild near the river bed of the Nidqually River without the use of chemical fertilizers, pesticides or herbicides. Our Dandelion leaves are never fumigated or irradiated. To assure optimal extraction of the dandelion root bioactive compounds, the leaves are hand-harvested and are carefully shade-dried to retain their full color & aroma, and are then thoroughly extracted. Potassium-rich Dandelion root has been used for overall good health and offers a number of benefits for the gall bladder and liver. Both the leaves and the roots are considered to be a natural diuretic and help to remove excess water and toxins from the body. Dandelion Root and Leaves are known for keeping the internal organs clean and clear. The herbal extract has been used for conditions such as poor digestion, liver disorders, high blood pressure, acid indigestion and gas build-up, and it helps to relieve both constipation and diarrhea. 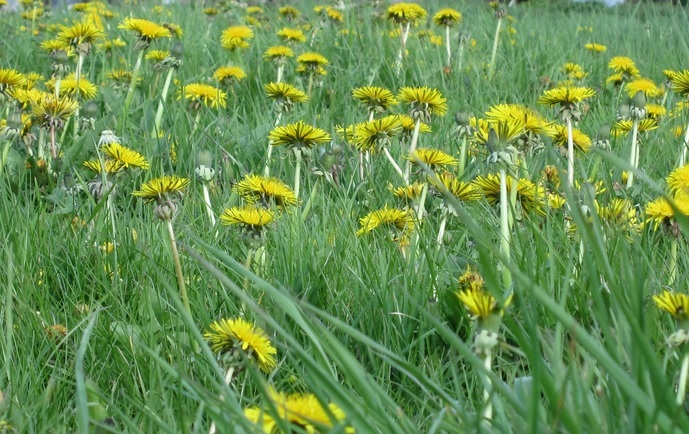 Herbalists regard Dandelion as one of the best herbs for building the blood, relieving anemic conditions and helping to maintain normal blood sugar levels. It is considered to be one of the better herbs to treat kidney ailments, such as kidney stones, and it is also thought to improve gall bladder function, possibly even preventing gallstones. Dandelion leaf is good for female organs and has also been used to enrich breast milk in nursing mothers. Women suffering from premenstrual syndrome may find that the diuretic action is powerful and may relieve some of the symptoms. Dandelion is helpful for those who suffer with eczema and other skin conditions, asthma, arthritis, gout, rheumatism, low blood pressure, bone disorders, ulcers, halitosis (bad breath), malignant tumors and swollen glands. It is one of the most common, safe and effective herbs available for men, women, children and animals. Ingredients: 110 Proof Certified Organic Grain Alcohol and Wild-harvested root of Dandelion (Taraxacum officinale). Click the button below to add the Dandelion Root Tincture to your wish list.